This article was published in Food & Wine Trails, May 1, written by Roslyne Buchanan. 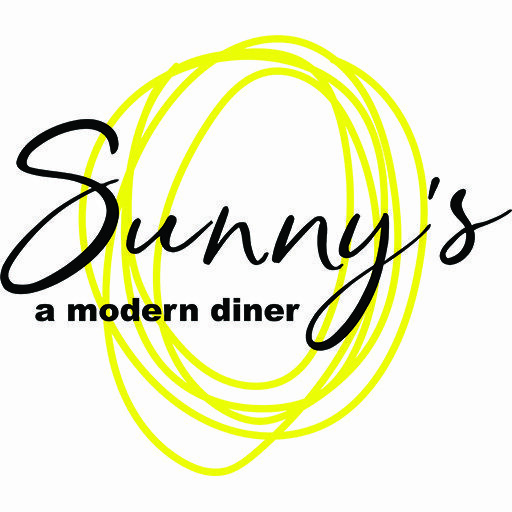 Dining Downtown Kelowna just got brighter with the arrival of Sunny’s — A Modern Diner at 235 Bernard Avenue across from the sails and waterfront. RauDZ Creative Concepts Ltd. (RCC), owned by dynamic team Audrey Surrao and Chef Rod Butters, launched this addition to its restaurant portfolio this April. Located around the corner from other RCC hotspots RauDZ Regional Table and micro bar & bites, Sunny’s presents fresh, innovative takes on classic diner fare by a culinary team lead by award-winning Chef Butters. It’s named after a canine restaurant muse, Sunny, a beautiful golden retriever. In short order, you’ll be barking out diner lingo, too, such as “Cluck and Grunt” for an order of eggs and bacon. “Two Cows, make ‘em cry” gets a double-stack burger with onions along with “Dog Soup,” aka water. True to RCC style, detail delves beyond the kitchen and deep into the décor. The floor plan is long and narrow, reminiscent of the pre-fab, stainless-steel dining cars of the original diners. Tim Bullinger, Arca 3 Design, gave the small space a decidedly modern twist while addressing the craving for nostalgia by framing it with a reclaimed brick wall and soaring, 20-foot ceiling, topped with wooden timbers. Grab a spot at the stainless-steel counter to watch the open kitchen as traditional diner theatre unfolds. Or select a table and feast on vintage Okanagan sunshine/lakeside memorabilia, such as water skis and reclaimed wood from boats that surrounds the bar. Plus, at the back of the space, there’s a “living” green wall. There’s also a nod to BC and Alberta tourist hotspots and hometowns on vintage pennants posted throughout. Similar in size to micro bar & bites, Sunny’s is small, while supersized in impact. As patio weather arrives, Sunny’s will be rolling up the “garage door” to expand the seating capacity. 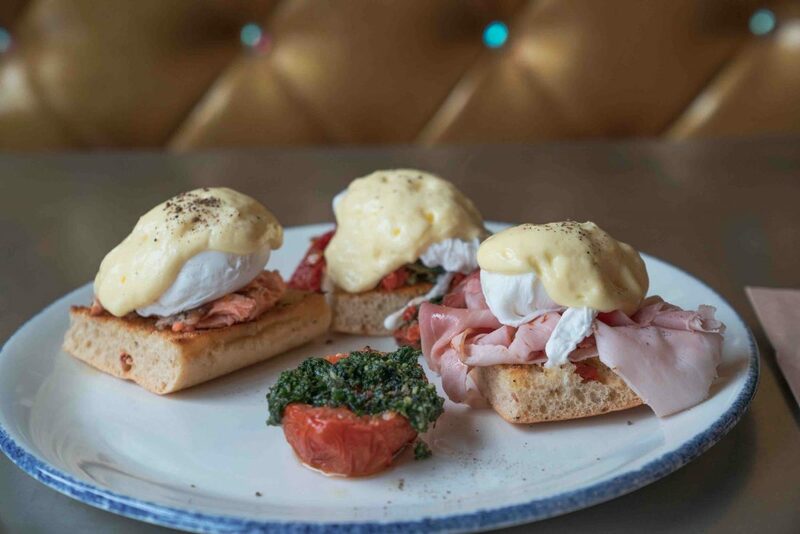 For now, it’s exclusively breakfast and lunch served, until those lazy, hazy, long days of summer arrive and then dinner service will be added. Doors open daily at 7:30 am, and while lunch service starts at 11 am, you can have breakfast all day. There’s $1 Coffee Hour until 8:30 am, and a Power Hour from 2:30 to 3:30 pm in which “Hail! Caesar” cocktails are discounted $2. The menu descriptions entertain with tantalizing selections. Hmm, which Adult Milkshake should I order next? In keeping with the fun, there’s musical entertainment. Working with Underground Music downtown, a collection of albums was curated. Spin your favourite tune on the provided record player for a suggested 25-cent donation to the SPCA.